What’s happened in nuclear and climate news for the past week? Still time to send in Submissions to the Royal Commission. despite its Just About Impossible Submission Process. Helpful information is available at my website http://www.antinuclear.net . Submission Points to Issues Paper 4 (Storage and Disposal of Waste). I think that this is the important one, as the goal of the Commission is to get Australia to import radioactive trash. South Australia’s Premier Jay Weatherill embraces nuclear lobby, in desperate bid to stay in power. Nuclear Royal Commission a promotional exercise for Nuclear Industry vested interests, targeting rural South Australia. Inaccuracies in Royal Commission’s Issues paper. Mirrar people call on Abbott government to secure Kakadu National Park from further uranium mining. Western Australia’s Barnett government moving Aborigines off their land to benefit miners. Esperance to be sacrificed for the profits of the uranium industry? Labor Leader Bill Shorten to announce 50% renewable energy target at Labor conference. But Australian Labor Party needs a credible plan for climate change action. South Australian government says wind and solar power are sources of jobs. Concentrated Solar Power pre-feasibility study now being finalised at Port Augusta. Australia’s shame. Cardinal Pell criticising Pope Francis over Climate Change policy. Gary Gray, the ALP’s shadow resources minister, is very clear on the importance of the Royal Commission as very much connected to Federal nuclear policy — even though the Commission pretends that it is only about the State of South Australia. Gray and the other nuclear enthusiasts will continue to push for pro-nuclear changes to policy. Labor veers towards the nuclear option https://independentaustralia.net/environment/environment-display/labor-veers-towards-the-nuclear-option,7965 21 July 15 The SA Nuclear Royal Commission, the ALP’s postponement of its National Conference nuclear debate and the machinations of the Nuclear For Climate Declaration could herald Australia’s deeper involvement in the nuclear industry, writes Noel Wauchope. 21 July 2015, “……..These are e three events that coincide, but they are related to each other. 1. July 24: Closing date for Stage One submissions to SA Royal Commission on the Nuclear Fuel Cycle… … on the subject of ‘Storage and Disposal of Nuclear Wastes’ (for South Australia) We can be confident that the global nuclear lobby will have put in wonderful submissions proposing South Australia to lead the world in inviting in nuclear wastes and setting up the (as yet non-existent) “Generation IV” nuclear reactors. 2. July 24: ALP’s National Conference begins in Melbourne There was a plan to hold a vigourous debate on reversing the party’s anti-nuclear policy. Australia is contractually bound to take back the very small amounts of wastes that originated from the Lucas Heights research nuclear reactor. That is being used as a “foot in the door” for expanding our uranium industry and taking back more radioactive wastes, plus getting the promised (geewhiz!) Gen IV reactors. In a last ditch move to avoid a possible uproar about this, Labor’s pro-nuclear push has pulled back from this plan. For the moment only, one suspects. Wilderness and nature photographer Steve Parish rates South Australian landscape best in country 891 ABC Adelaide By Brett Williamson 22 July 15 Celebrating more than four decades as a freelance nature photographer, Steve Parish rates South Australia as the best place he has ever shot. Mr Parish, who grew up in the eastern Adelaide suburbs of Norwood and Burnside, said he found his love of nature when exploring the local coastlines……. After leaving the Navy at 29, Mr Parish joined the Queensland National Parks and Wildlife Services as a wildlife photographer for five years before working freelance across the country. “My favourite landscape is northern-central South Australia, [Kati Thanda] Lake Eyre up to Innamincka, that beautiful channel country, the Gibber Desert,” Mr Parish said. Mr Parish said South Australians were spoilt by the beautiful, natural light experienced across the state during winter as weather systems rolled across the state……..
“Instead of bland, empty skies that we tend to get more in the north in the different times of the year, you get that wonderful shafting, golden light,” he said. Roger Sowell , Sowell’s Law Blog 22 July 15 .It is interesting indeed that the questions for Paper 3 did not specifically mention renewable energy as providing supply to the grid. It is perhaps not surprising, given the Commission’s charter to examine the Nuclear Fuel Cycle. However, questions 8, 12, 15, 16, and 17 have wording that is sufficiently broad that one could include renewable energy in the answer. A more encompassing grid planning study would (and many do) include various forms of energy generation. The advantages and disadvantages of each form are assessed. An excellent example is from the California Energy Commission, at http://www.energy.ca.gov/2009publications/CEC-200-2009-017/CEC-200-2009-017-SF.PDF, Comparative Costs of California Central Station Electricity Generation, published in 2010. However, even this study is confined to a comparison of costs, both initial and operating costs. Safety, impacts on the grid, fuel supply and price volatility, environmental impacts, and reliability are not included. Esperance to be sacrificed for the profits of the uranium industry? why should the people of Esperance have any faith they will be protected this time around by those with responsibility to regulate mining companies and protect the community, when they failed so badly last time? During the Esperance lead crises, Government agencies continually downplayed the seriousness of the problem and denied any serious risk to human health. The inability of WA Government agencies to effectively regulate and monitor the operations and performance of multinational corporations whose rationale is profit maximization was confirmed in a recent WA Auditor General’s Report. South Australia Invites Comments on Nuclear Power, Sowells Law Blog,Roger Sowell, 21 july 15 Nuclear Power for South Australia Not Justifiable”………I have been invited to prepare and submit responses to the questions and issues posed in Paper 3 for Civilian nuclear power plants. There are 17 questions, shown below [on original] . I plan to formally submit detailed answers to most, if not all, the questions. The short, summary answer to the over-arching question of Should South Australia build and operate nuclear power plants, is no. The basis for that conclusion is the facts and particulars of South Australia’s power grid both at present and the foreseeable future. The grid is small, with 5,000 MWe total installed capacity. The demand is low, with typical daily maximum 1,500 MWe although demand peaks on hot summer days at approximately 3,000 MWe. More importantly, minimum demand at night is approximately 700 MWe. Finally, South Australia has access to abundant coal and natural gas for fuel. This Week’s Japanese Nuclear Industry Scandals, Simply Info July 20th, 2015 | As Japan’s current government tries to force through reactor restarts, the process is running into some harsh reality. The NRA has found two major problems and it came out that Toshiba has been significantly falsifying their financial statements to hide major losses. Japan’s NRA determined for a second time that faults under the Shika nuclear plant may stop it from being allowed to operate. 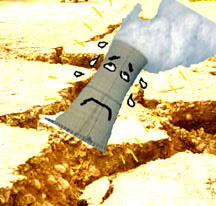 A fault under the unit 1 plant as documented by the NRA would prevent it from being allowed to restart due to the active fault running under the reactor building. A second fault runs under the cooling water intake systems for units 1 and 2. Unless operators can convince the NRA that they have developed sufficient measures to prevent earthquake damage, the second unit may also be prevented from ever restarting……….. Many residents have been unable to return to their home towns following the Fukushima nuclear disaster. Even what that changes, there will still be lingering concerns about safety. 21 Jul 2015 NARAHA, Japan: More than four years since Satoru Yamauchi abandoned his noodle restaurant to escape radiation spreading from the tsunami-wrecked Fukushima nuclear plant, the Japanese government is almost ready to declare it safe to go home. But, like many of the displaced, he’s not sure if he wants to. Activists say despite government assurances, many areas still show highly-elevated levels of contamination, and many are unfit for habitation. They say that for people who abandoned now-almost-worthless — but still mortgaged — homes, allowing TEPCO to stop payments amounts to forcing them to return. Are the meltdowns at Fukushima Daiichi over?… This catastrophe is not over… We should continue to be very worried. 3 of the nuclear cores at Fukushima Daiichi are in direct contact with groundwater. Nuclear power designers and engineers never anticipated that possibility. Fukushima Daiichi Units No. 1, No. 2, and No. 3 were destroyed… allowing holes and cracks to form… We know for sure that the Fukushima Daiichi containments are full of holes that allow groundwater to come in direct contact with each nuclear core. Groundwater is still leaking in and leaking out, at a rate of at least 300 tons per day… more than 1,500 days have passed… 23,000-tanker truckloads of radioactive waterhave already leaked into the Pacific Ocean. Worse yet, there is no end in sight. As Fairewinds anticipated, the ‘ice wall’ is a complete failure. Cesium, strontium and plutonium from Fukushima Daiichi will continue to bleed into the Pacific Ocean for decades because the groundwater flow is unmitigated. Japan’s press looks on silently due to the real threat and constraints of the government’s secrecy act… The true human, financial, and environmental costs of this nuclear power catastrophe are not publicized and discussed. TEPCO reported on July 17 that Strontium-90 concentrations in the ocean outside Fukushima Units 3 and 4 are at record highs. Levels have spiked around 1,000% in 3 months. * According to TEPCO’s July 17 report, the total level of all beta ray emitters (which includes Sr-90) was 1,200 Bq/L — yet the levels reported for Sr-90 were 1,500 Bq/L. When a similar occurrence happened last year, Asahi reported: “Strontium levels exceeded the all-beta readings in some instances, leading the utility to decide they were ‘wrong’.” TEPCO’s corrected data revealed much higher levels. Bill to regulate radiation and nuclear practice passed, Jamaica Star 21 July 15 A Bill seeking to create a legal framework for the regulation of activities, practices, apparatuses and facilities involving ionising radiation and nuclear technology was passed by the Senate on Friday. The Bill entitled, the Nuclear Safety and Radiation Protection Act, 2015, was piloted by Minister of Justice, Senator Mark Golding. The objectives of the Bill are to protect people and the environment from exposure to ionizing radiation to the maximum extent that is reasonably practicable, taking into account social and economic factors, and recognising the need for the use of ionizing radiation for beneficial purposes; and to protect radioactive sources from misuse that may result in harm to people or the environment. …….. This Bill seeks to create a robust framework for the regulation of activities, practices, apparatus and facilities involving ionising radiation and nuclear technology, in keeping with international standards and best practices,” the Minister explained. Labor must back up renewables target with a credible plan http://www.smh.com.au/federal-politics/political-news/labor-must-back-up-renewables-target-with-a-credible-plan-20150721-gihih5.html#ixzz3gYyNAqy2 Tom Arup Environment editor, The Age Amid the brutal political fight over the carbon tax it has been occasionally forgotten that Australians really like renewable energy. Only on Tuesday a poll by Essential Media found 50 per cent of people thought the government should prioritise support for renewables over the coal industry. Just 6 per cent thought the opposite. It appears Labor has been taking note. Hence the splashy commitment to have half of Australia’s large-scale power production coming from renewables by 2030. It is an attempt to quell one of the Coalition’s strongest political attacks – that Labor will bring back a “carbon tax” in power. And it targets the Prime Minister’s apparent distaste for clean power (well wind farms at least) and public backing of coal. Also on Labor’s side is science, which is demanding a rapid transition away from fossil fuels towards cleaner technologies if the planet is to have any chance of keeping global warming to relatively safe levels. We have a long way to go to meet this goal. Just 13.5 per cent of our power came from renewables last year, and our current target will see a 23.5 per cent share by 2020 if it is met. The ALP remains pledged to introducing an emissions trading scheme, a move the Coalition will attempt to tar with the carbon tax brush. But the hint is that Labor will use its renewable energy splash to adopt a softly softly approach on carbon pricing, at least until 2020. It could amend the Coalition’s Direct Action scheme to this end. In the meantime it would have to send other signals to energy investors. The likely policy lever is to extend the existing renewable energy target scheme, which financially supports new projects. Labor could also set limits on excess emissions coming from coal power plants, or simply ban old power stations, as countries like the United States and Canada are doing. And it could also beef-up efforts to cut energy use. All these measures have costs and benefits. Meanwhile, many economists say the most economically efficient way to make the long-term transition to a cleaner energy mix is with a strong carbon price. As ever, the devil will be in the detail. The target is a push in the right direction. But Labor will have to back it up with a credible climate plan or risk it being seen as a vote grab. Bill Shorten to unveil 50% renewable energy target at Labor conference, SMH July 22, 2015 Mark Kenny Chief political correspondent Opposition Leader Bill Shorten is set to unveil a bold climate policy goal requiring half of Australia’s large-scale energy production to be generated using renewable sources within 15 years. The policy shift is designed to recover green support, sharpen the contrast with Prime Minister Tony Abbott over climate change and make global warming the defining battleground of the next federal election………. Cardinal George Pell criticises Pope Francis over climate change stance , SMH, July 19, 2015 Kerrie Armstrong Cardinal George Pell has publicly criticised Pope Francis’ decision to place climate change at the top of the Catholic Church’s agenda. Cardinal Pell, a well-known climate change skeptic, told the Financial Times the church had “no particular expertise in science”. The Vatican summit this week comes ahead of a crucial round of United Nations climate talks scheduled for early December in Paris. It’s a safe bet that Francis will nudge policymakers in the U.S. to push for climate action when he speaks at the U.N. in September, and becomes the first-ever pope to address a joint session of Congress. Pope Francis convenes world’s mayors to discuss global warming, Mashable Australia, Andrew Freeman 20 July 15 Anyone who thought that Pope Francis was going to issue his climate change manifesto, and then recede quietly into the background on the issue was sorely mistaken. In fact, judging from his agenda this week, it’s clear that Francis intends to be a major player in spurring leaders to combat global warming, which he sees as inextricably linked to efforts to lift the plight of the world’s poor. Australia Renewable Energy Gets Hacked & Attacked, Clean Technica July 21st, 2015 by Steve Hanley Originally published on Solar Love.